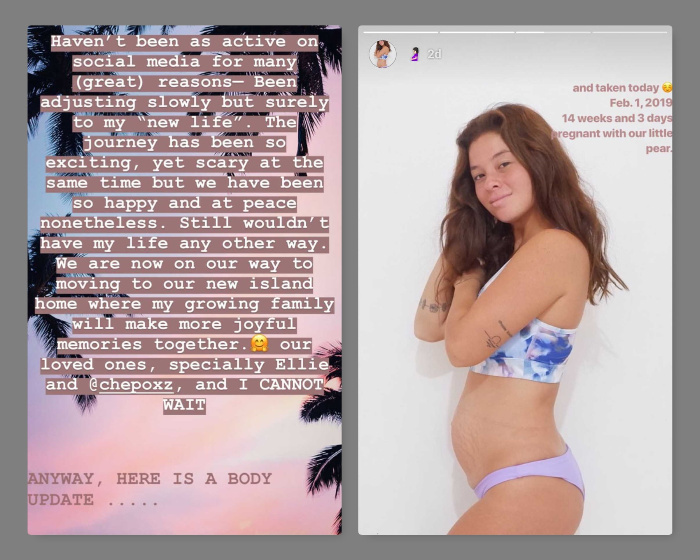 Recently, the actress and model Andi Eigenmann happily took to Instagram stories that she is pregnant with her second child. On February 1, the 28-year-old actress and model announce the new bun in her oven, currently at 14 weeks and 3 days. 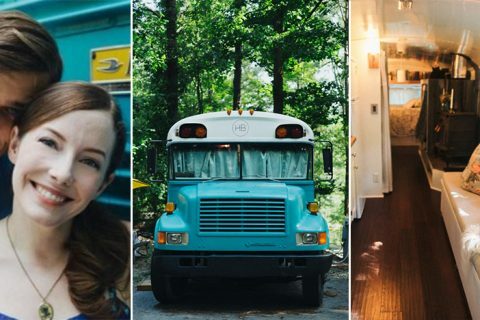 “Haven’t been active on social media for many (great) reasons – been adjusting slowly but surely to my ‘new life.’ The journey has been so exciting, yet scary at the same time but we have been so happy and at peace nonetheless,” Andi wrote. “Still wouldn’t have my life any other way. We are now on our way to moving to our new island home where our growing family will make more joyful memories together. Our loved ones, especially @chepoxz and Ellie and I cannot wait,” the actress added. The 28-year-old actress also tagged her boyfriend, professional surfer Philmar Alipayo in her Instagram story. Philmar Alipayo is one of the Philippines’ top surfing contender in the Asian surfing championships, he is the 1st Champion of Philippine Surfing Championship Tour Men’s Division in 2017 as per his bio on his Instagram account. 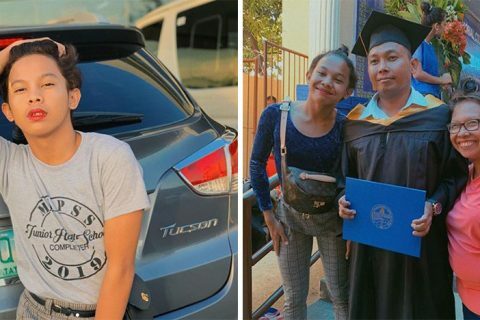 He was born and raised in the surfing capital of the country, Gen. Luna, Siargao Island, where the actress is currently residing with her daughter. The two became a couple in July last year. Andi posted before and after photos of her growing and glowing momma bod. 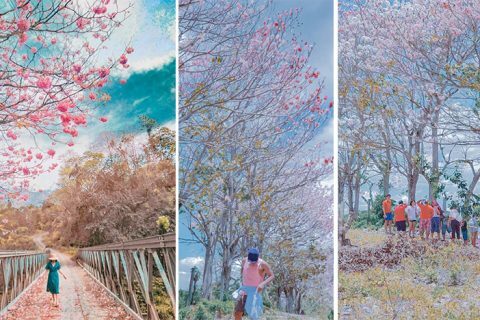 The first photo was taken on December 17, 2018, and the second photo was taken on February 1, 2019. “And taken today, February 1, 2019. 14 weeks and 3 days pregnant with our little pear,” she wrote. 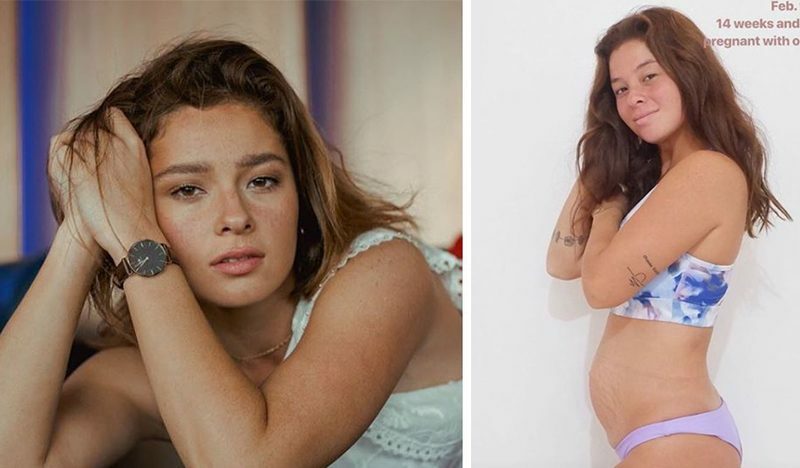 Andi Eigenmann gave birth to her first child, Ellie, in November 2011 with her ex-boyfriend Jake Ejercito, who is a politician’s son.